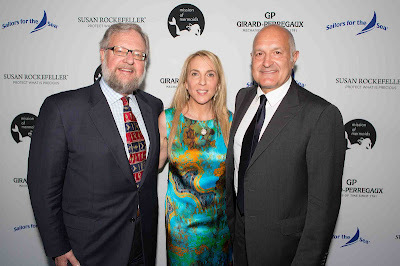 Susan and David Rockefeller, Jr. celebrated World Oceans Day in New York City on June 5 at The Museum of Modern Art, in partnership with iconic, luxury Swiss watch brand Girard-Perregaux. Avid environmental conservationists, Susan and David created this event to raise public awareness to the plight of ocean health and the need for its protection. 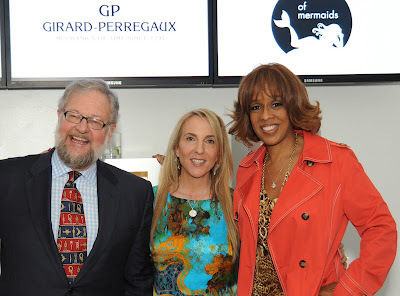 The evening featured a special screening, and the New York City premiere, of Susan’s most recent documentary, Mission of Mermaids. A 15-minute call to action viewing the ocean through the eyes of the mythical mermaid, it explores ocean acidification, overfishing and pollution. Presented by Girard-Perregaux and emceed and moderated by Italian actress Jo Champa, the event’s sentiment “Protect what is Precious” relates to both the state of the world’s oceans and the rare art of fine watchmaking. 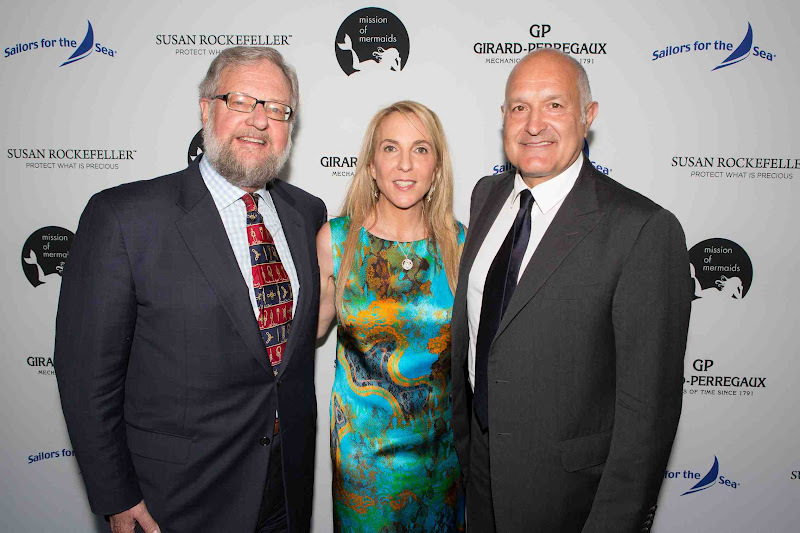 Following the screening, Michele Sofisti, CEO of Sowind (Girard-Perregaux and JeanRichard) presented Susan and David with their own Girard-Perregaux SeaHawk “Big Blue” watches, which were created to honor their environmental efforts. After the presentation, guests were welcomed into a new environment inspired by Susan’s film. Mythical mermaids dressed in gorgeous gowns, Girard-Perregaux watches and Susan Rockefeller jewelry greeted guests amid a sea of light and projections of Ricardo Cisnero’s ocean-inspired work. Mermaids passed Susan Rockefeller stainless steel straws, engraved with the night’s “Protect what is Precious” theme, to discourage single-use plastic. This call-to-action is also engraved in both the Girard-Perregaux limited edition “Big Blue” and Susan’s new jewelry collection which launches on June 8th at www.susanrockefeller.com. Guests attending included Nile Rodgers, Gayle King, Almudena Fernandez, Anna Carter, Rich Gelfond, Peggy Bonapace, Sydney Davis, Andy Sharpless, Vin Cipolla, Judith Rodin, Julie Gilhart, Nina Manuel, Janet Wallach,and more. At the end of the evening, they all parted with unique gifts including an OPI nail polish kit with limited edition colors Mermalade, Sand Castle and Beaty and the Beach created specifically for the occasion.